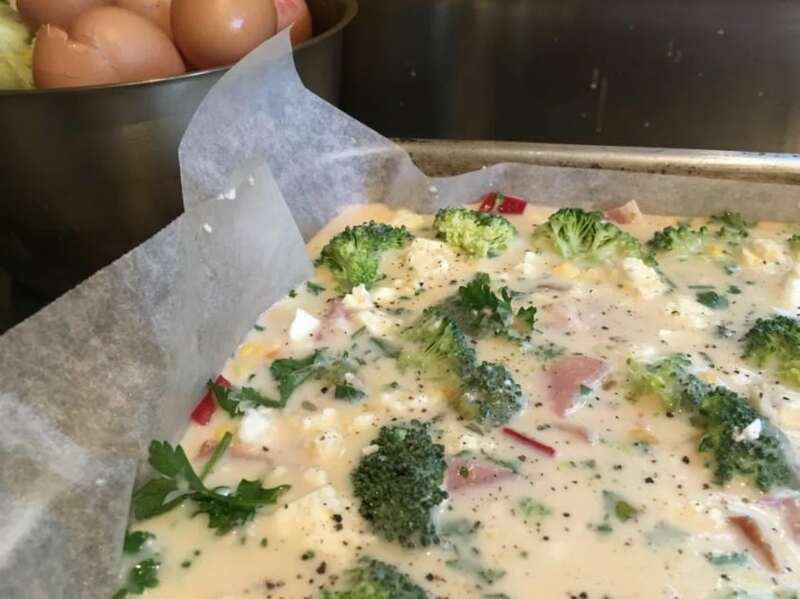 A simple recipe anyone can whip up, this Bacon Egg Broccoli Slice tastes great and fills you up and you get a dose of greens, too. You will love this yummy recipe. This recipe comes from a favorite WHOot contributor, Nicole Cody. 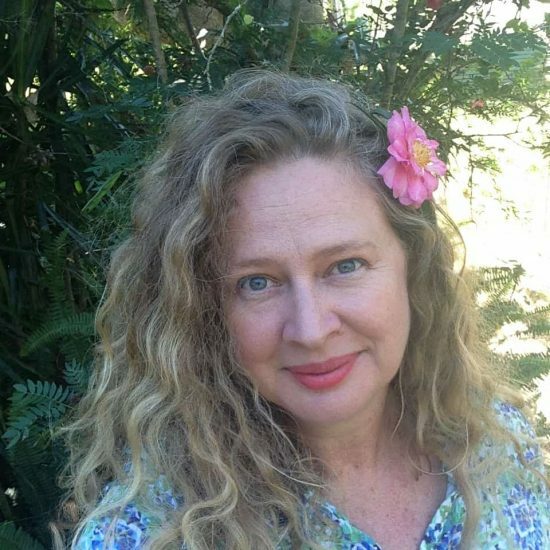 Her recipes are finding a truly appreciative audience and she is receiving rave reviews from many of you. 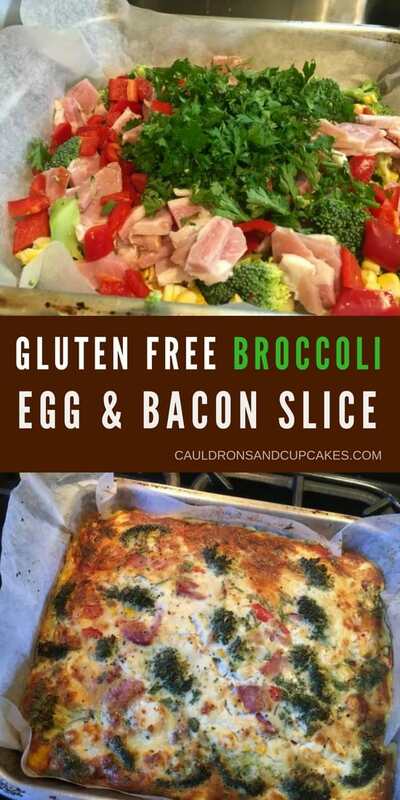 Today she is sharing her Gluten Free Bacon, Egg, Broccoli Slice Recipe and we guarantee that you are going to love it! It is also a really simple recipe to follow – even someone with little cooking experience can whip this up! Eggs. Baking dish (30cm x 25 cm) 8 large eggs. You could use more! Some milk, soy milk, almond or rice milk to mix with it, about a cup. Essentially making is a simple custard. Grab a high-sided baking dish. It doesn’t matter what shape it is. (Or you could use smaller individual dishes. But that’s a lot more washing up.) Line it with some baking paper so that there is less mess to clean up later. When you have lined your baking tray preheat your oven to 180 degrees – 350 degrees Fahrenheit. (If your oven is fan forced drop the temperature by 10 degrees.) Then go ahead and prepare the filling for your slice while the oven is heating. Chop your bacon into rough small pieces. Make sure you have removed the rind first or it will be really chewy. 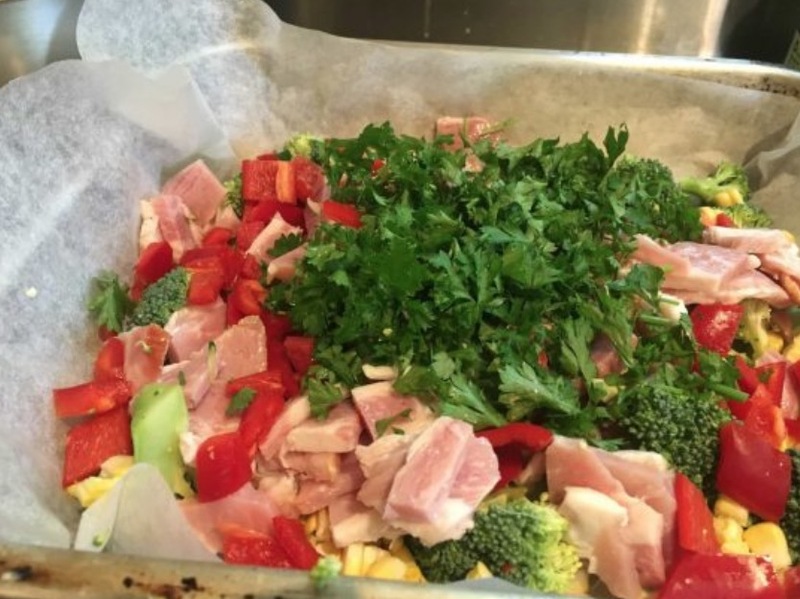 For my big baking dish I used 3 very big fat rashers, which gave me about a cup of bacon pieces. Use as much or as little bacon as you want. You can also substitute ham or cold roasted meats for the bacon. Vegetarians may enjoy using a seasoned tofu or tempeh. Cut broccoli into small florets. Throw these directly into your paper-lined pan. 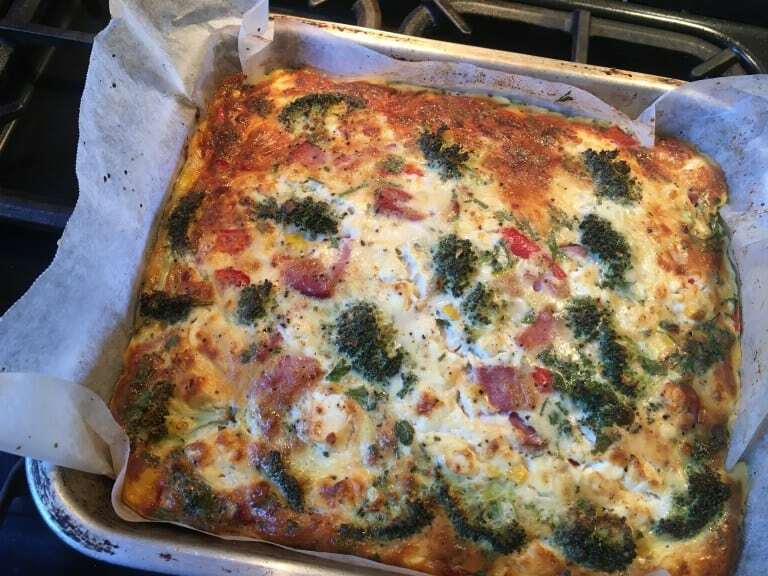 When the base of the pan is well covered with broccoli you have enough. Cauliflower also works well, or do a combo! Remove the corn kernels from a fresh cob or two, or use a small (or large if you are a corn fan!) can of corn. De-seed and chop up your capsicum (bell pepper). Then chop up a good handful of parsley (only the leaves, not the stalks) or a couple of green onions (shallots). Throw all of that into your baking tray and then use a large spoon or clean hands to mix it all together so that the ingredients are evenly distributed. Sprinkle a pinch of salt and a good grind of pepper over the top. Now crack your eggs into a large bowl and add the milk of your choice. Whisk it gently together with a fork so that the yolks become broken and everything is blended. Add a half cup of crumbled feta or grated cheese to the top of the vegetable and bacon mixture. Try to spread it evenly. Go on – use a bit more cheese if cheese is your thing. Pour the egg mixture into the baking tray. Use the fork you whisked the eggs with to gently poke the vegetables a bit to make sure that the egg mixture goes all the way to the bottom of the baking tray. You’ll still have a few bits poking up that didn’t get covered. That’s okay. It will still cook and taste fine. If you over-calculated and have too much egg mixture make another quick small individual serve in a bowl or ramekin or even some muffin cases! Just chuck a few bits of vegetable and cheese and maybe a little extra bacon or ham in there. Note: If you use small dishes grease them well with a little butter or oil or the egg and cheese will stick! If you don’t have enough egg mixture, whisk another egg or two with a splash more milk and pour over. Use your best guess but don’t get stressed about it. It takes practice to work out quantities well. Place baking dish into the oven and cook for forty minutes, or until golden and puffy on top and cooked through. You might want to check on the slice after thirty minutes baking time, just to see how it is going. Serve on its own, with a spoonful of your favorite relish or chutney, or with some green leaves or a salad. Any leftovers will keep in the fridge for up to four days. 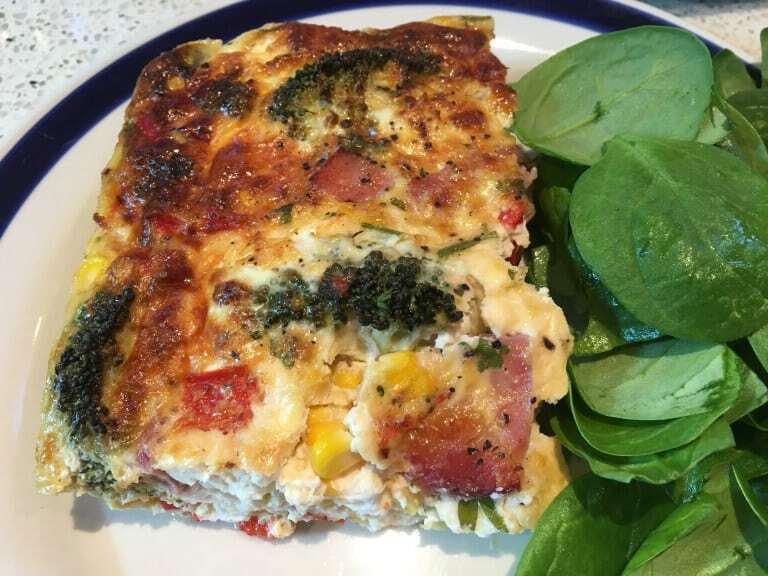 A big thanks to Nicole for sharing her awesome recipes with us!